As I continue to discover fantastic websites across the Internet Landscape I realize listing them all on the side of my blog will eventually create a skyscraper sized column. This is my version of organized accumulation. You should see how well I pack for a fishing or hunting trip! It’s my only domestic quality~ packing and organizing. This page will forever more be a collection in progress……..
Trout Underground ~ Humor, Fly Fishing, need I write more? A Bad Backcast and other Inane Musings ~ Salt Water Fly Fishing Stories, the Outdoors, and Stupidity? Troutrageous ~ An equal opportunity Fly Fisherman, all are welcome! FishingPoet ~ Fly Fishing and Words, my two favorite things found here…. 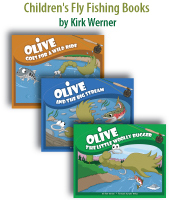 The Fly Fishing Monster ~The monsters Fly Fishing Journeys, Reports and Stories. Mikes Gone Fishin’ ….Again ~ Well, I don’t see a problem with that! Great stories follow ‘again’…. Hunt Only ~ A group setting of Hunting Blog posts, variety style! 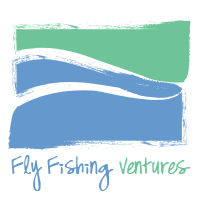 Fly Fish Map ~ Discover the world of fly fishing on their Google map site. The Outdooress claimed her spot, have you?? Riverwood Flies ~ Fly Fishing Flies and Fly Tying Material. A great resource! Oregon Outdoor Excursions ~ Planning a Trip to Oregon? Check out this website first. 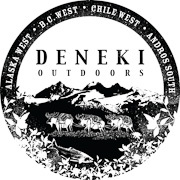 Fly Fishing Gear, Flies, Supplies and More…. Fishing Supply Co ~ Fly Tying? A wide variety of materials found here! I wonder what the humble trout of Idaho would think if I flung a tarpon fly at them. I guess if it knocked them out, I could take a decent picture for once. Don’t knock it until you try it….if you’re so inclined, i can give you the details of an awesome place to camp in the Florida Keys that also happens to be one of the best bonefish flats in the US….. Your new site looks great! Thanks for the link to us on your site, if you ever need a guest post, let us know! We don’t do much fishing, but we know predator hunting really well! Shannon ~ Gotcha and great looking site. “caught between the salt and sweet” LOL thats good. I don’t have that option here in Idaho! i also have fishing blog from Indonesia. can i join to this precious information pages? great thanks fishing mania.. I added you to my blog roll On feb 23 when you post a new one it goes to the top, would you mind adding me to yours, or did something I say make you frown? Sorry Bigerrfish ~ I was simply slow on the hook set this time! Just added you to the Blogroll for the Riverwood Blog and hope you’ll return the favor. Heck, you put Derek and Kirk on – I’ll be a good counter balance to their wit and humor as my writing is dry and boring (and loaded with spelling errors and improper use of the English Language). Being a former Southern Idaho boy (grew up around the Glenns Ferry area), I espeically enjoy hearing about some of my old stomping grounds! I humbly submit my blog for your entertainment…..
Dave & Mike ~ I’ve got you both up on the list. I thank you for showing me new discoveries this evening! Reminded me of going to the hatchery and seeing them go up the ladder to the holding pond. Wow. That’s a lot of blogs to keep track of. And I thought *I* was tracking too many. If you have time to squeeze in one more, please consider adding mine: http://www.journalofamnangler.com/. Under “Fishing”, of course! Good basis of stuff referring to this post people see, at the writer job service. I really enjoyed your site this evening…it has a very soothing feel! That word came to me as I was wondering how to describe it…your choice of words and sentences are so well picked as are, I’m sure, your choice of spey files. that’s gotta go in my favorites on facebook! If you like photos of rising brownies, check out my friends blog. Enjoy reading your blog and have recently started one of my own. I’ve added you to one of my places to visit. I hope that my adventures with my girls and friends can bring a chuckle or a smile. We’ve got some common friends, good to see them listed on your blogs that you follow. Best.